We run table tennis sessions for players of all ages and abilities. 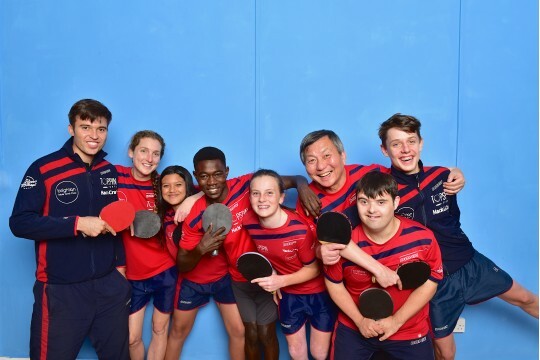 Brighton Table Tennis Club exists to provide role models to support the personal development of young people, instil a life-long love for Table Tennis and build a strong community. BTTC exists to transform young lives by providing positive role models, increase engagement with education and community and improve health and well-being.The Club has recently been named Winner of Table Tennis England's National Club of the Year Award and Brighton & Hove Council's Club of the Year for 2014.The club benefits from a diverse membership which creates a vibrant atmosphere in which strong friendships have formed across social and cultural barriers. We work with charities and organisations that cater for children in care, children 'at risk', 3 Primary Schools, 4 Secondary Schools and 2 Colleges, as well as the elderly, disabled and vulnerable groups. We have shown that just £2,240 spent on rent and coaching at the Club made a Projected Social Cost Saving of £2.54 million to society for outcomes including Crime, Obesity and Well-Being.